Home > Mariner Software, Inc.
Found one file extension association related to Montage and 1 file format developed specifically for use with Montage. 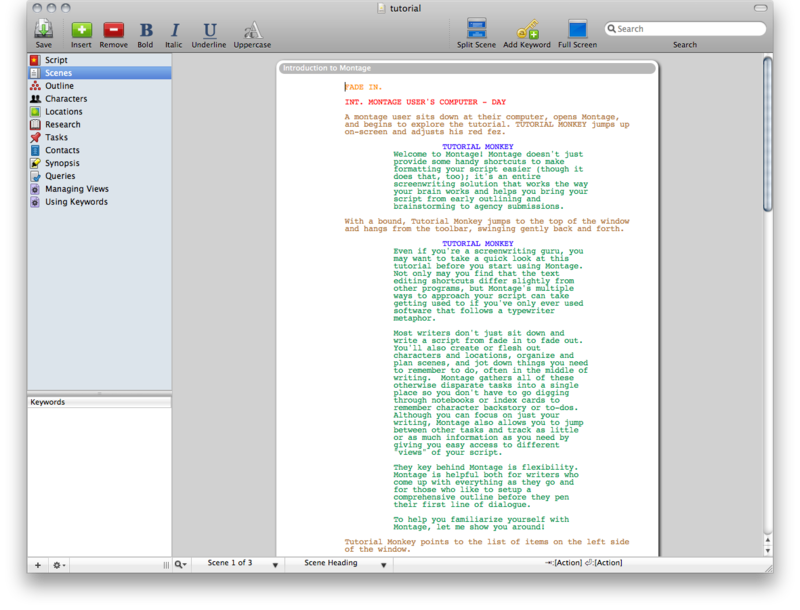 Montage is a screenwriting software for Apple Mac operating system used to create structured screenwriting documents. When you watch a TV show, a film or a play, it’s hard to see the structure that goes into each one. But it’s there. And, it’s pretty specific. It’s one thing having the idea – it’s something else getting that idea into the format needed to get noticed. If you need more information please contact the developers of Montage (Mariner Software, Inc.), or check out their product website.